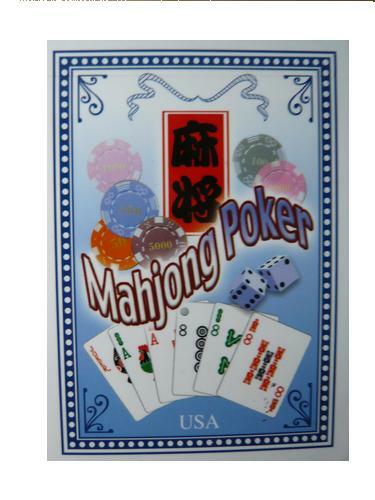 Mahjong Poker is a new card game (only one deck needed) for up to 6 (or more) players. Green (Bamboo), Red (Kanji) and Black (Copper). In each suit the cards are numbered from A to 9, with 3 identical cards for each number. (Therefore each suit has 27 cards. ); and there is also 1 Joker (Wild Card). dealt by the house to try to form a Hu. a RUN of three consecutive cards of the same suit plus a pair of identical cards. In traditional poker-based games, there are 3-card straights and flushes, 5-card straights and flushes, and so on. The cards in a pair can be of different suits, and the cards in a straight can be of different suits. Higher-numbered cards outrank lower numbered cards. 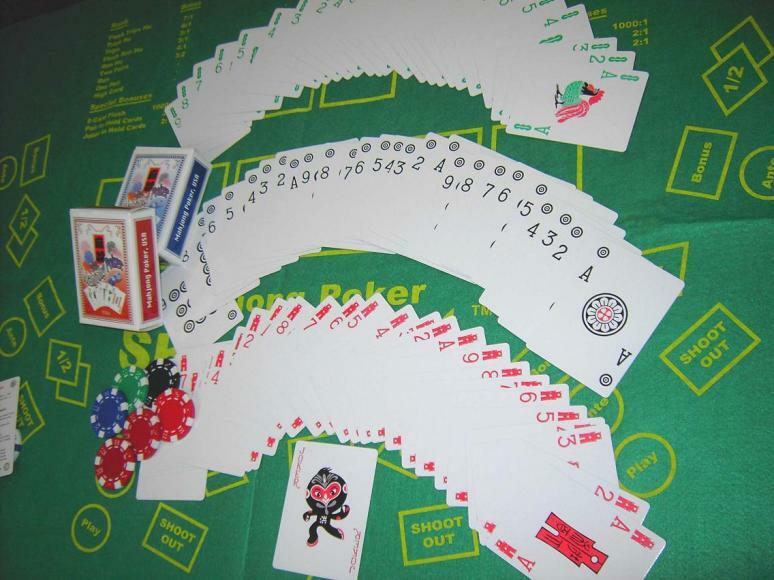 In Mahjong Poker, there are only 2-card pairs and 3-card sets: TRIPS and RUN. The cards in a pair must be identical, and the 3 cards in a set must of the same suit. Higher-numbered cards do not outrank lower-numbered cards. 1 deck 82 cards, rules.